Tomorrow is my father-in-law, Mack’s, birthday. We won’t share how old he is going to be, only that we all know that you get better with age, just like a fine wine. 🙂 We met FIL and MIL out at Molly Woo’s Asian Bistro for dinner. It was really good. They have a nice size gluten-free menu, so Jon and I had a nice selection of choices. I chose the Black Pepper Steak (added in snow peas to the mushrooms & green beans) with brown rice and a couple of chicken lettuce wraps for an appetizer. 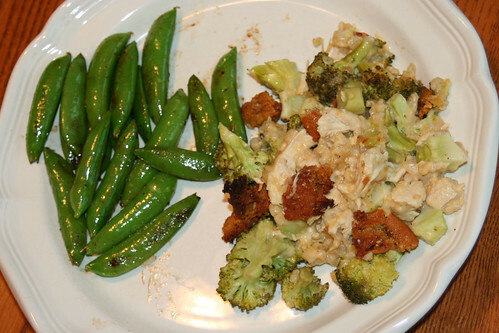 Jon had Pineapple Chicken with brown rice. After we had a nice dinner, we came back to our house for coffee and dessert. 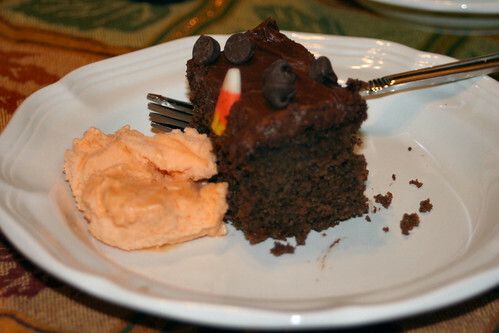 I made an amazing Chocolate Cake that I found on Carrie’s, Ginger Lemon Girl, blog. It is called “Everyday Chocolate Cake” and it truly was amazing. The directions were super easy and the cake took no time to make at all. I frosted it with a chocolate frosting recipe from the back of the Hershey’s Cocoa can. Melt butter and mix in with cocoa until smooth. Add vanilla and then alternately add the powdered sugar and milk until the frosting is the right consistency. I had to add a little more than 1/3 cup of milk. Just do it a little at a time. Frost cake. This made enough for 2 layers, so for this cake, you may want to cut the recipe in half. Serve cake with ice cream. I had Edy’s Slow-Churned Pumpkin with mine, Hannah had Edy’s Cookies & Cream (not GF) with hers. Not really on the topic, but I was nominated for the Blogger’s Choice Awards! WOOHOO!! You can vote for me by going here. Then search “gluten-free” and I am on page 2 under “Gluten-Free is Life”. How exciting! I frequently browse other gluten-free blogs looking for dinner ideas for my family. My family is difficult to cook for b/c not only are they picky, but Jon and I can’t have gluten. I can’t eat onions, but those are easily omitted from recipes or subbed with garlic. They typically won’t eat casseroles; there are a select few. Actually, I believe that lasagna is the extent of the casserole love in this house. Me, I love casseroles. 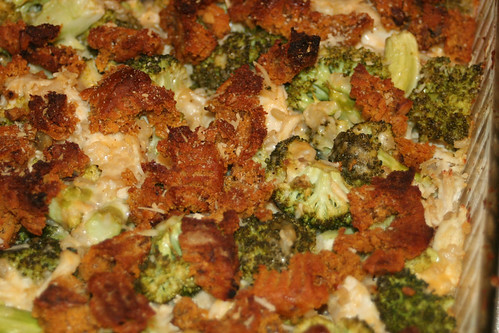 My Grandma (Dad’s Mom) used to make an awesome casserole that she called “Dorito Casserole” b/c you actually use a bag of Doritos in it. I believe the correct terminology is actually “Chicken Sopa”. It is good. Aaron and the kids hate it. 😦 I may sneak it in again sometime soon b/c I am craving it! Jon and I had pumpkin ice cream for dessert. He had his topped with chocolate chips. 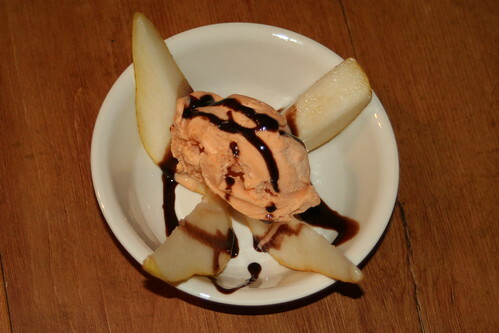 I topped mine with nothing tonight, but the other night I put my pumpkin ice cream on top of some pears and topped with some Hershey’s Chocolate Syrup. YUM!! I warned you all it was coming. My love of pumpkin everything is in full swing. The crispy, fall air has arrived and I am ready to get into full baking mode. My baking has been a little derailed over the past few days due to our power outage, but I hope to get back on track within a few days. In the meantime, I went to the grocery store today to grab some ground meat & ice cream. I pledged to myself only to buy 1 flavor and only 1, until it was gone, or close to it. 😉 I think the only exception might be if we have a non-GF flavor, then maybe we would have a second, GF flavor floating around. Jon quickly pointed out the Edy’s (or Dreyer’s depeding on where you live) Slow Churned Pumpkin Ice Cream. It is a Limited Edition flavor. Edy’s/Dryer’s is one of the companies that will clearly label gluten, so you can just read the label and know if the product is GF or not. 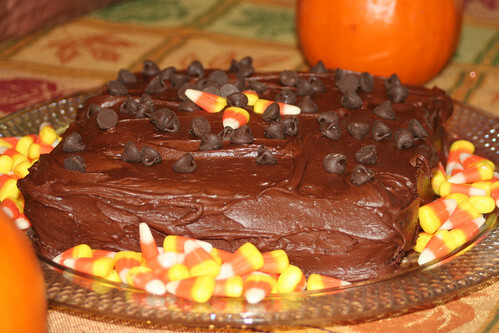 I decided that this would be perfect for my fall pumpkin cravings! After my lunch I sat down with my bowl of Edy’s Slow Churned Pumpkin Ice Cream. WOW! It was amazing! It was like eating a frozen piece of pumpkin pie. The texture was so smooth. The flavor, full of the fall spices like cinnamon, ginger, cloves & nutmeg. It has almost a little spice kick to it in the aftertaste. Definitely Fall worthy and a must have. I think that this could be really good paired with a slice of pumpkin bread (either my traditional pumpkin walnut raisin or pumpkin chocolate chip). Now, the really, really good news. There are only 100 calories and 3 grams of fat per serving (1/2 cup). Now how is that for satisfying? ?